This sport of H. 'Splish Splash' forms a medium size (17 inches high) mound of green foliage with a gold margin. 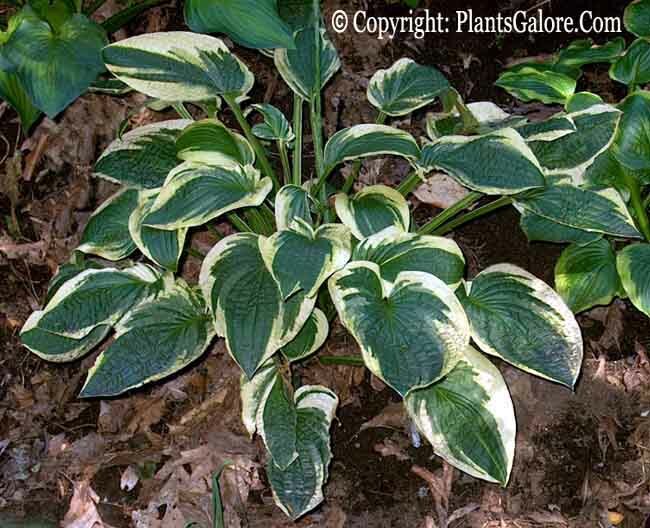 It was registered by Van Wade of Wade and Gatton Nursery of Ohio in 1999 as part of the Richland Series of hostas. The leaves are ovate shaped, slightly cupped, moderately wavy and moderately corrugated. Dense clusters of pale purple flowers bloom in July. Similar cultivars include H. 'Jambleliah'.